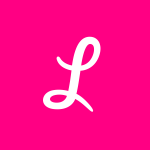 I’m thrilled to report that a few days ago, by unanimous vote of our board and shareholders, Lemonade became a Public Benefit Corporation, and was also awarded provisional ‘B-Corp‘ certification. Both are firsts for an insurance carrier, and are points of tremendous pride for our team. Rebuilding insurance as a social good, rather than a necessary evil, is now part of our legal mission. 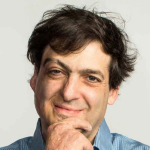 Our Chief Behavioral Officer, Professor Dan Ariely, says that, “If you tried to create a system to bring out the worst in humans, it would look a lot like the insurance of today.” Working in partnership with nonprofits, and baking giving back into our business model holds the promise of a better insurance experience and a more valuable insurance company. In other news, I’m happy to say that we’re putting finishing touches on our product and will be ready to launch in New York within weeks. The final step is for us to get our license, and if all goes to plan, we’ll have that shortly.